Looking for a last minute gift for the indie lover in your life? Here's the ultimate guide for what to get your lady or man in your life who loves indie products. Or for those people you want to introduce indie products to! Filled with ideas from shops that are still open for the holidays, and have a quick turnaround time, hopefully getting your gift to you before Christmas. Please note, that this does not apply to international shipping. I probably should have done this a little earlier in the year, but it just sort of dawned on me that an indie Christmas gift guide would be a great idea for a post! And these don't have to be exclusive to Christmas, they would work well as birthday/anniversary/Valentine's Day/just-because gifts as well. And there's a special section for the guy in your life too! I will try to include shops that might still get your gift to you by Christmas, but be sure to check each shop's turnaround time to get a better idea. If you're in doubt, you can always try emailing the owner. 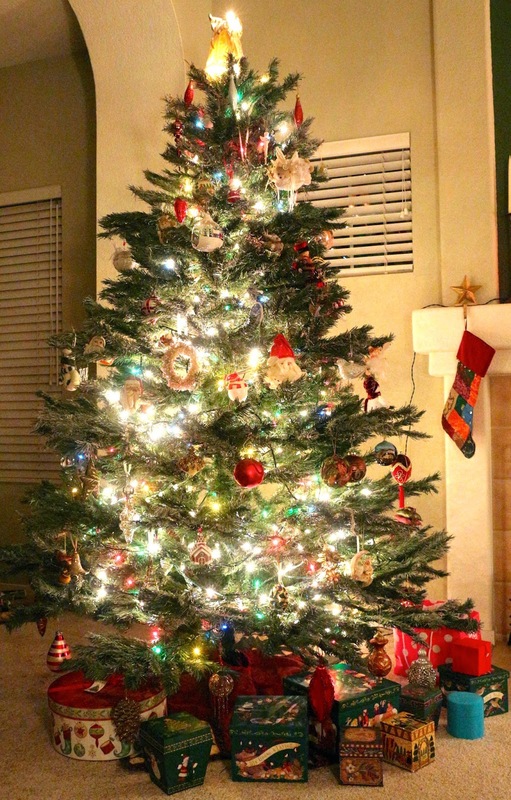 And here's my Christmas tree, because I had to make this post look more festive! Pretend like all those adorable boxes under the tree are filled with indie things! 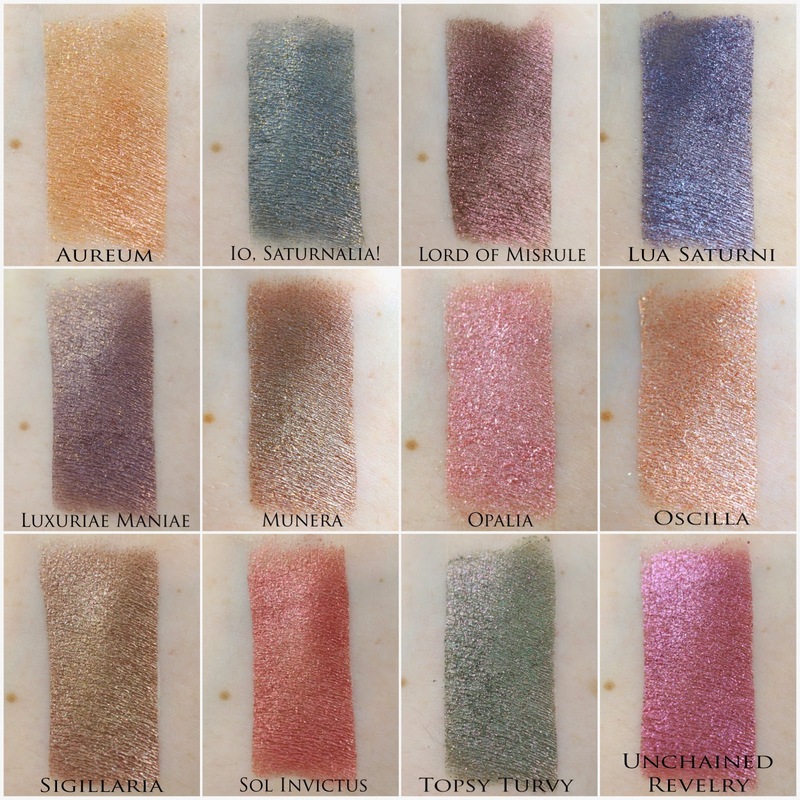 This collection is inspired by Saturnalia, and is one of my favorite holiday collections I've reviewed so far. Aromaleigh also has a crazy fast turnaround time, usually no longer than a few days, so you're pretty likely to get your order before Christmas. And I mean look at it, the eyeshadows are just beautiful! Corvus Cosmetics is fairly new in the indie world, but if there's a girl in your life that spends most of her free time watching reruns of Futurama, Corvus Cosmetics has you covered! They just recently introduced The Year 3000 collection, and since they are so new they are still open for the holidays, and you're likely to get your order in time. I have heard great things about this collection, but I haven't had a chance to swatch it yet. But it's a must-have for any Futurama fan who wants to put an eyeshadow on her eyes called "Bite My Shiny Metal ***!" There are only a few sizes left of this, but Evonne is also supposed to have some babydoll style shirts as well if you message her about those. Really, I would take anything from Darling Clandestine as a gift, I love all of the perfumes and products. However, she just opened the store back up, and there is low stock of most of the perfumes, and a few preorders of items that won't be available in time for Christmas. But the shirt, I love it! I need to get myself one maybe after the holidays. Because let's face it, if you're wearing a Darling Clandestine perfume, you smell amazing! Glamour Doll Eyes has probably the fastest turnaround time from any indie seller I've ordered from. 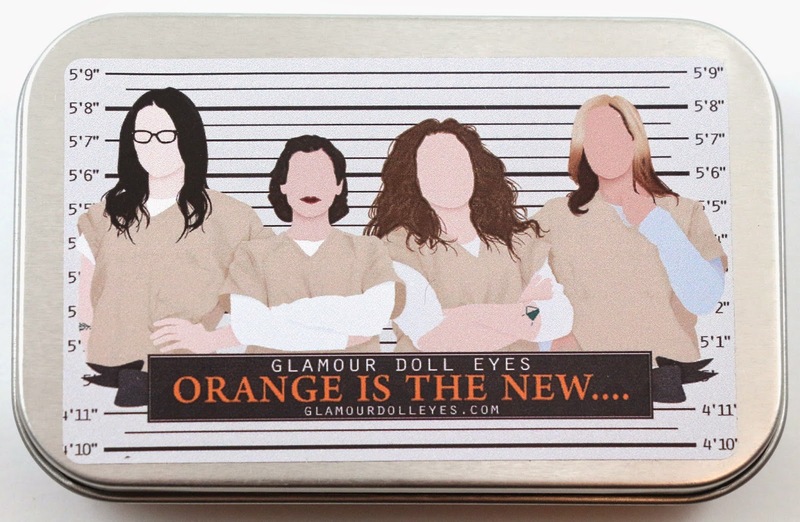 Vanessa, the owner, just released her Orange Is The New... box set, and on the Storenvy site you can buy the single eyeshadows from the holiday sets. These sets include shadows inspired by ELF, Edward Scissorhands, and The Nightmare Before Christmas. For the girl in your life who loves the show Pretty Little Liars, there's also the Liars Keep Secrets collection. Book of Shadows (anothersoul) - I prefer these palettes because there are various sizes, and always a ton of styles to choose from. They have smaller double sided travel palettes, as well as their regular size. There are even larger ones for the eyeshadow enthusiast or makeup artist in your life. MiniMintPalette - These are made in small batches, so there are only a few ever up on the store at one time. But I think these would make a great gift for a teen in your life, as many of them showcase adorable animal art on them. 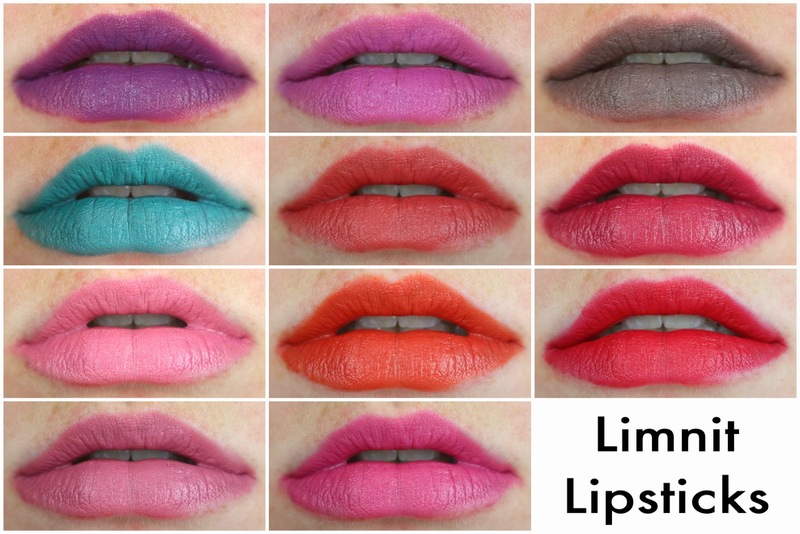 Limnit Lipsticks - Currently not everything is in stock, but everything ships quickly. This is one store to get some traditional pink/purple/red shades, but also fun colors like gray, green, blue, and yellow lipsticks. I've reviewed this company here. Performance Colors - This Etsy shop carries all kinds of lipstick colors, as well as a few other products. They have matte shades, as well as their Restorative Lipsticks which are moisturizing like a lip balm. Shiro Cosmetics - Shiro doesn't officially have a turnaround time posted, but based on how quickly they got through their Black Friday orders, I think you could get these in time. They carry some Nic Cage glosses with some hilarious label art, a Red Wedding lip gloss, and their Miyazaki lip tints. Have that friend who loves eyeshadow and Zelda? Or Game of Thrones? What about The Hunger Games? The Hobbit? Avengers? Is she a Pokémon Master? Shiro has an eyeshadow collection for her! They carry all things geek, and they are beautiful shadows, great quality, and I think the turnaround time will allow you to get these in time for Christmas. Alchemic Muse - Alchemic Muse carries all kinds of bath goodies, and has a quick enough turnaround time that they should arrive in time. 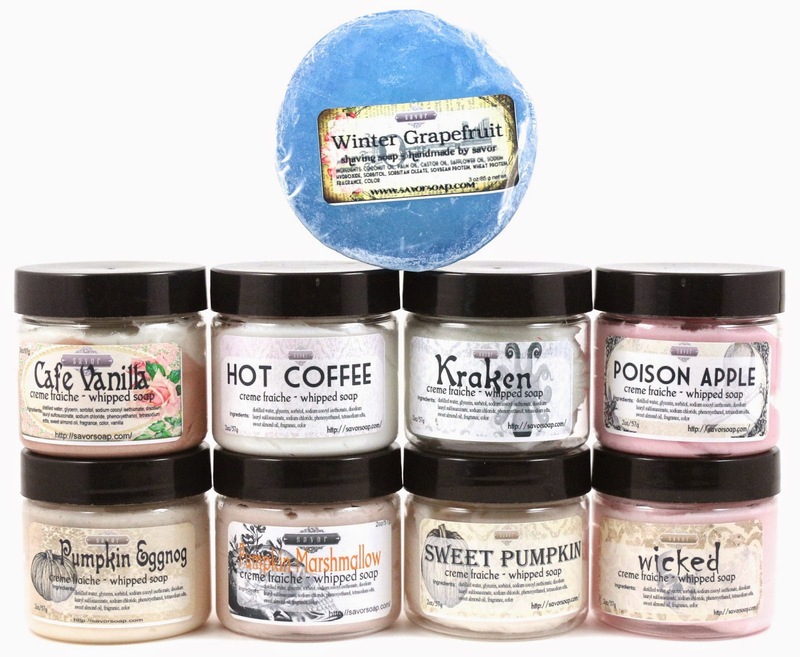 Everything from creme soap, bath bombs, body scrubs, body butter, body gloss, and soap bars. They also carry perfume. The winter collection is located here. Queen Bee Apothecary - Whipped soaps, lotions, shampoo, conditioner, and other hair care items. Queen Bee is currently not guaranteeing your items by Christmas, it's cutting it close, so be aware of that before you order. Savor - Savor makes some great whipped soaps, body butter, scrubs, and is still stocking her autumn and winter collection here. If a lady in your life is looking for some awesome winter perfume scents, look no further than the Solstice Scents Winter Collection. I just reviewed these here, and they are so awesome, and perfect portrayals of your memories of winter. I personally like the perfume sampler with all the scents, since many of the bath and body products are sold out. This indie brand doesn't get a lot of love, but I adore their eyeshadows. They are still open for orders, and your order should arrive by Christmas. Queen Bee Apothecary carries some adult fun type products, including edible lubricant as well as bath/massage oils. Please note all warnings and instructions on these products before using. And be aware of ingredients for any allergies. 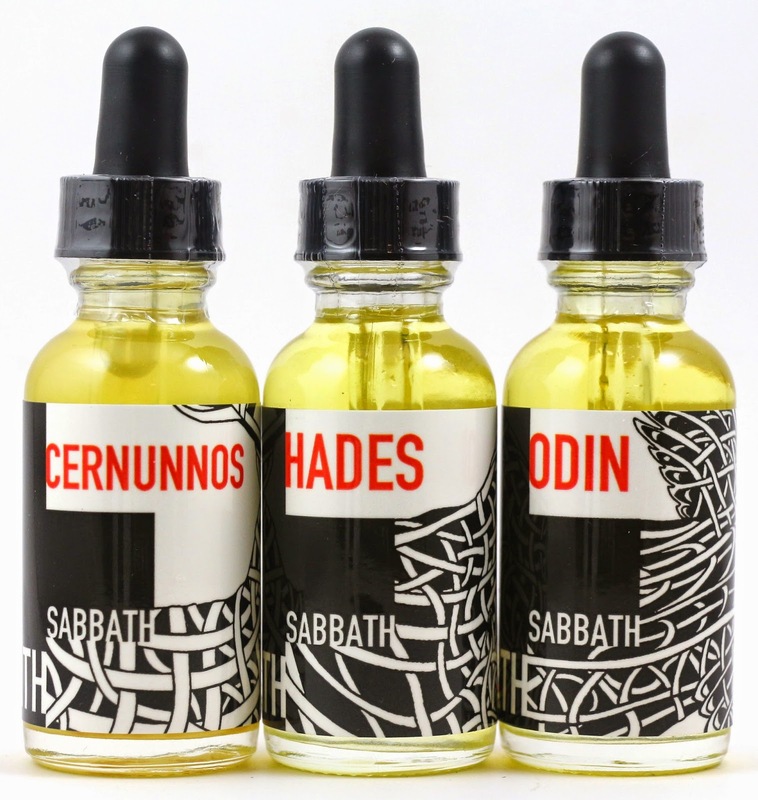 Bath Sabbath - They carry 3 different beard oil scents and 3 mustache wax scents to choose from. They have sets so you can mix and match scents and products, or just get your man a variety so he can chose the scent he's feeling for the day. Beardology - They have all kinds of beard products to choose from, including beard oils, balms, and beard wash. They also have gift sets if you would like to mix and match. Most of their scents are one note, so these will be good for the indie newbie men. Queen Bee Apothecary - They carry beard conditioner oils, and mustache wax. Be aware that they are not guaranteeing orders by Christmas. Beardology - Beardology actually does carry cologne, and as I mentioned about their beard products, they are all mostly one note. Perfect for the guy in your life who just wants to smell like tobacco or fir needles. 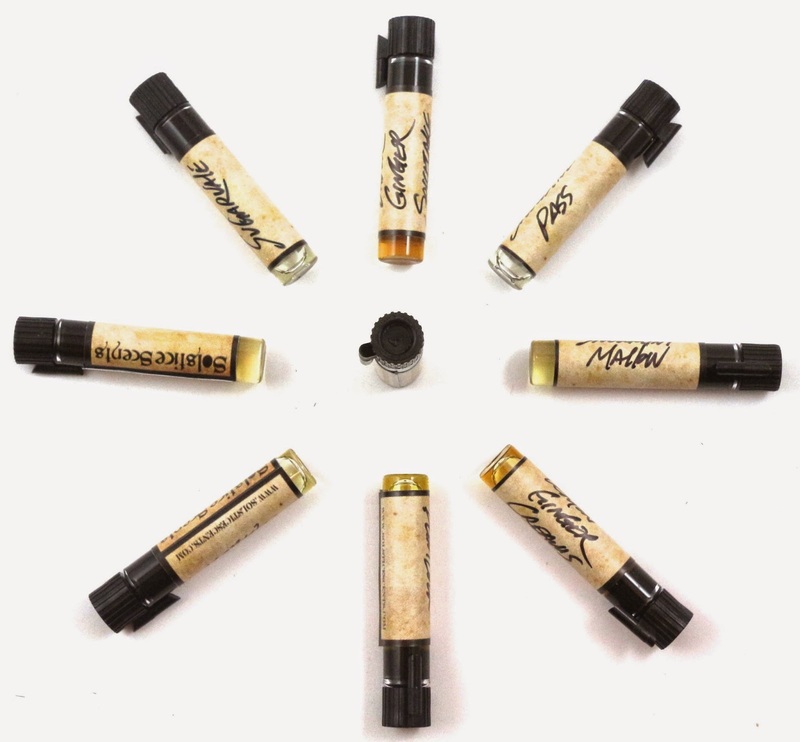 Solstice Scents - They have a very quick turnaround time, and carry, in my opinion, some of the best masculine scents. Flintlock is one of my favorites, but check out their scent catalog for all of the masculine scents they carry. Bath Sabbath. Need I say more? This shop carries all kinds of products for men, including studded soap bars, Thor's Hammer soaps, the aforementioned beard oils, and all kinds of masculine scents. Plus, the label art and packaging is totally killer. So, this recommendation has nothing to do with indie cosmetics or beauty really. But, it is an indie shop, and one I have shopped from before. I stumbled on The Daily Robot when looking for some cool looking Sonic art prints for B one year. These are awesome video game prints, everything from Mario, Pokémon, Mega Man, Zelda, and they even have robot prints and Star Wars prints. I notice they are also carrying coasters now as well. There are multiple sizes to choose from, and they are printed on quality cardstock, perfect for framing in his man cave. If your guy spends his time playing his Nintendo 3DS, try Game Themed Things on Etsy for 3DS decals and clings. They have almost any design you could imagine, so check them out to make your guy's 3DS uniquely his own. 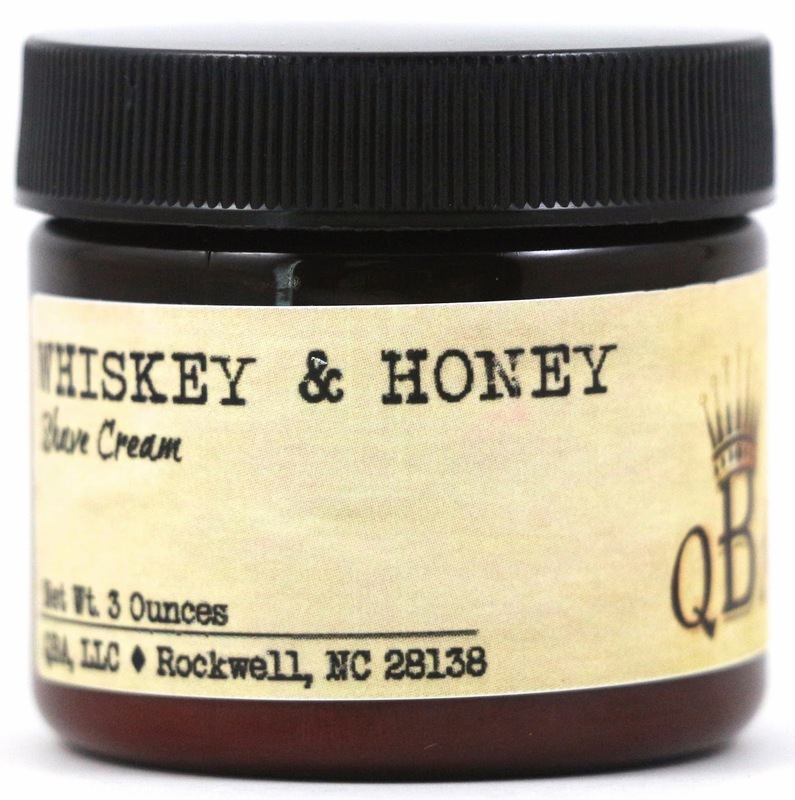 Queen Bee Apothecary carries all kinds of shaving products, including shaving creams, shaving jellies, soothing after shave lotions, and they sometimes carry a shaving kit. Be aware that they are not guaranteeing orders will arrive by Christmas. What indie last minute Christmas gifts do you have in mind? Let me know of your ideas in the comments! These are all great ideas! I would also add Performance Colors lipsticks, (I loved the lipsticks I got and it was about a week from ordering before they were in my grabby hands). For Christmas, I got Mr. Danger beard oils from Bath Sabbath and a beard wash from Beardology, and they both had great TAT, (and Bath Sabbath included 2 free perfume samples!) I can't speak to the beard product quality yet, but I'm thinking his beard will be pretty luxurious. I also didn't know about the Queen Bee adult products, very interesting! I'm going to stop rambling now, but you put all of my favorite things in one post, and I got excited! I got B beard oils from Bath Sabbath and Beardology so he can compare and contrast them for me for review lol!